• 19,000 SF addition to an existing facility housing a gymnasium, arts and learning facilities. • A new teen center, education room and a performance center. • The highlight of the new addition is a new swimming pool enclosed in an aluminum and glass atrium that has a retractable roof that allows for a year round aquatic program. 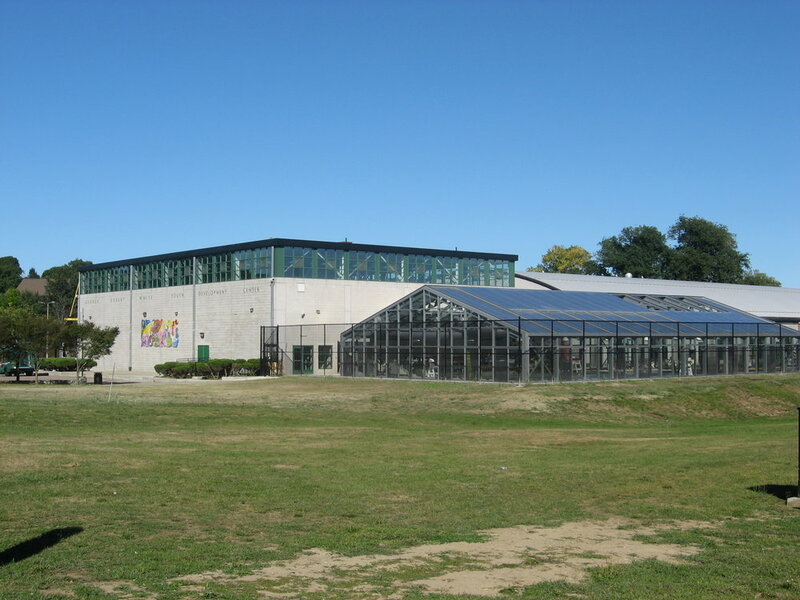 Rehabilitate the ice-skating facility by replacing the skating rink surface and modernizing the ancillary appurtenances and the front facade. • Two-story addition allowed for an expanded teen center and an enlarged teen games room. • Another addition defines the new main entrance while creating space for a fitness center. • New features include a child-care center, and a monumental stair in the lobby that allows secure visible access to the second floor of the building. • No renovations were required to the existing pool in the facility. • Mildred Avenue Community Center: Co-located with the Mildred Avenue Middle School, the Community Center features a six lane competitive swimming pool, balcony seating and a family viewing area, an oversized gymnasium, weight/exercise room, and locker areas. • The center provides facilities for all ages from day care rooms to a senior lounge and even a recording studio with an editing suite especially for teens.